In Europe Sykono is THE specialist in development, production and fabrication of portal lifts. Our portal lifts can be applied to mobile use as well as to fixed installations. The Sykono portal lifts designs are based on 15 years of experience. By modern engineering and 3D simulation technics the Sykono lifts are the most light weighing and maintenance in the market. Daily many users experience the comfort and reliability of a Sykono portal lift. Besides the standard lifts, Sykono developes special custom made products. Usually this regards fixed installations. Please contact us and present your lift issue. Of course we gladly provide you with optional advice! 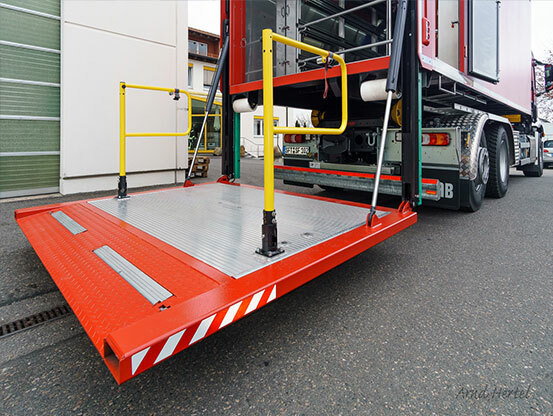 The Sykono Car Lift (SCL range) is a portal lift where the cylinder is located beneath the lift unit. 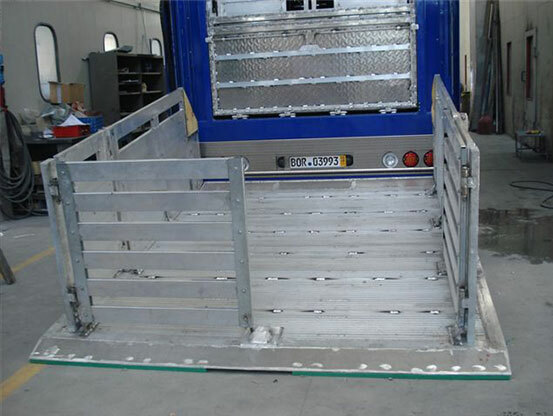 The advantage of this is that the height of the portal can be totally used for loading and unloading the cars. In Europe Sykono is THE specialist in development, production and fabrication of portal lifts. Our portal lifts can be applied to mobile use as well as to fixed installations.